CN#43131 was built and delivered to SAS (Scandinavian Airlines System) in 1948. 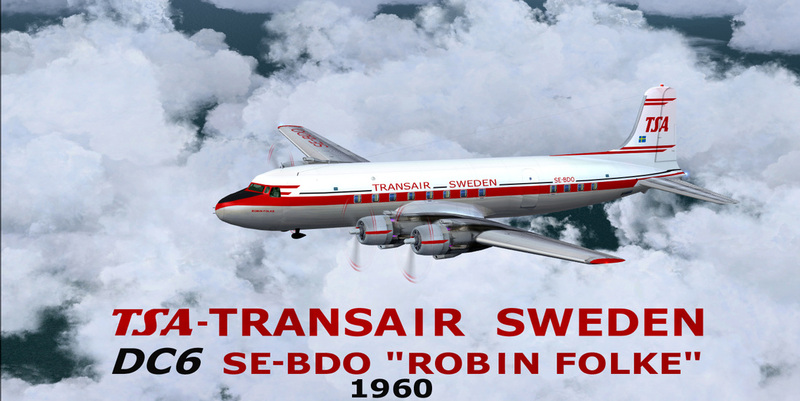 Aircraft was bought in 1960 by Transair and was leased in 1962 for 1 month to the United Nations and after service in Sweden it was leased by Transair Congo between December 1963 and June 1964. After service with Transair, aircraft was bought by Yemen based Brothers Air Service and was WFU and stored in 1972.